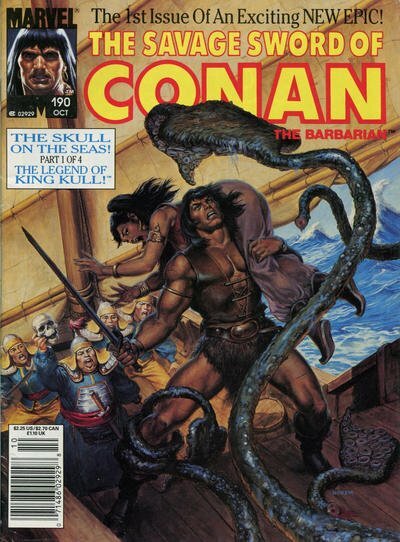 Click Here To See Savage Sword of Conan #190 Magazine! Check out this very nice Conan battle page, which was penciled by the great John Buscema, and inked by the great Tony DeZuniga, from the story titled: "Skull on the Seas (part 1)!" This nice page features Conan battling throughout the entire page as he searches for the treasure promised by the skull of Thulsa-Doom! A great opportunity here to own a nice John Buscema Conan battle page!